Cream together your butter and sugars until mixed and light. Add in your vanilla and milk and stir to combine. 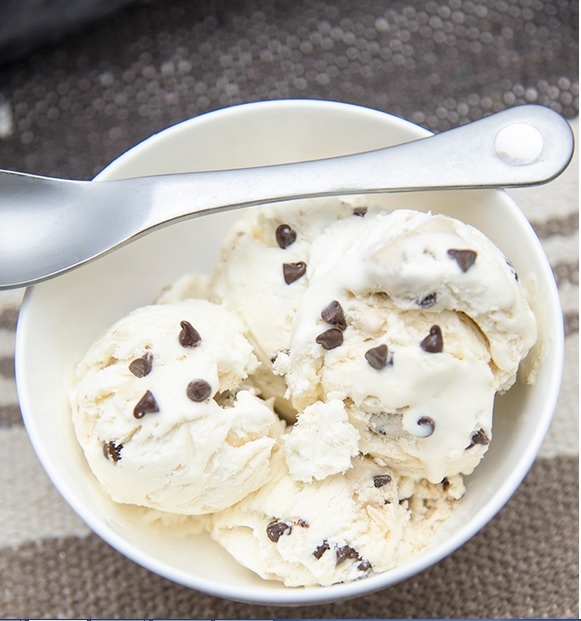 In a large bowl combine your condensed milk and your vanilla extract. Whip your heavy cream in a large bowl until stiff peaks are formed, about 5 minutes on high. Fold your whipped cream into your sweetened condensed milk. 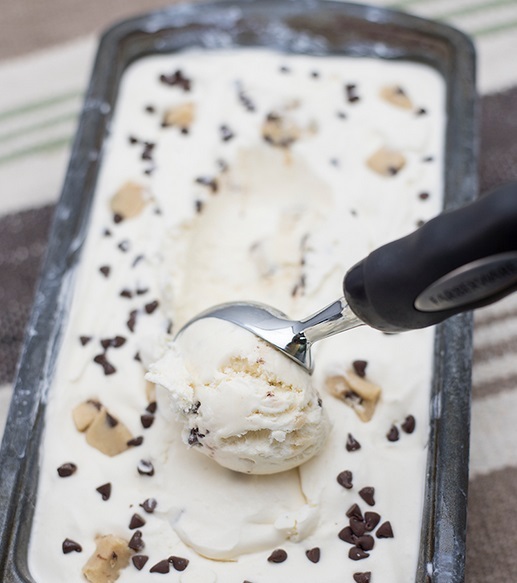 Pour about ⅓ of your ice cream mixture into your 9×5 inch pan.